-- Five-time champion Roger Federer crashed out, beaten in four sets by 55th-ranked Australian John Millman, 3-6, 7-5, 7-6 (9/7), 7-6 (7/3). Federer had set points in both the second and third sets, but 77 unforced errors doomed the 20-time Grand Slam champion. Millman added: "I felt a little bit guilty." -- Defending champion Rafael Nadal survived an epic quarter-final confrontation to defeat battling ninth seed Dominic Thiem 0-6, 6-4, 7-5, 6-7 (4/7), 7-6 (7/5) and reach the semi-finals for the seventh time. Thiem said: "This defeat is going to be stuck in my mind forever." -- The quarter-final between Novak Djokovic and Millman ground to an astonishing halt at 2-2 in the second set when the umpire gave Millman permission to leave the court to change his sweat-soaked clothes. A break in play of six and a half minutes saw Djokovic remain on the court as Australia's Millman -- who apologized profusely to Djokovic -- disappeared. "I could do with a rest," said Djokovic. Djokovic said the fierce humidity that prevailed throughout the tournament had made competing a sweatier affair than he'd ever seen. "Incredible," said Djokovic, who emerged a 6-3, 6-4, 6-4 winner. -- Naomi Osaka told US Open title opponent Serena Williams "I love you" just moments after she became the first Japanese woman to reach a Grand Slam final. The 20-year-old breakout star of the tournament swept into the record books and the championship match against the 23-time major winner with a 6-2, 6-4 win over Madison Keys, the runner-up in 2017. When asked on court what she told herself as she served for the match, she said: "Don't double fault". "Why," asked the interviewer. "Serena," replied the charismatic Osaka. "I love you, Serena," she added before adding "I love you, mom; I love everybody". 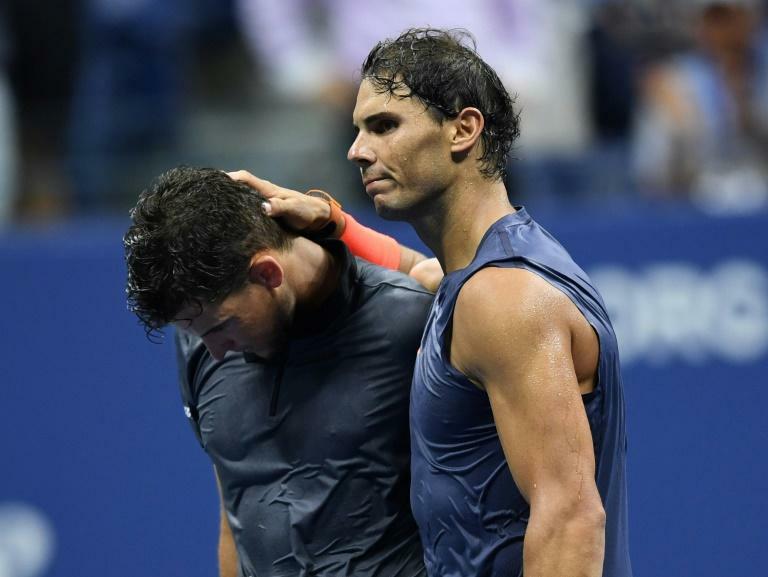 -- Rafael Nadal vowed the knee injury that forced him out of the semi-final against Juan Martin del Potro won't stop him chasing more Grand Slam glory. The Spaniard said the trouble was the familiar tendinitis he's dealt with for a decade -- unpredictable but not career-threatening. 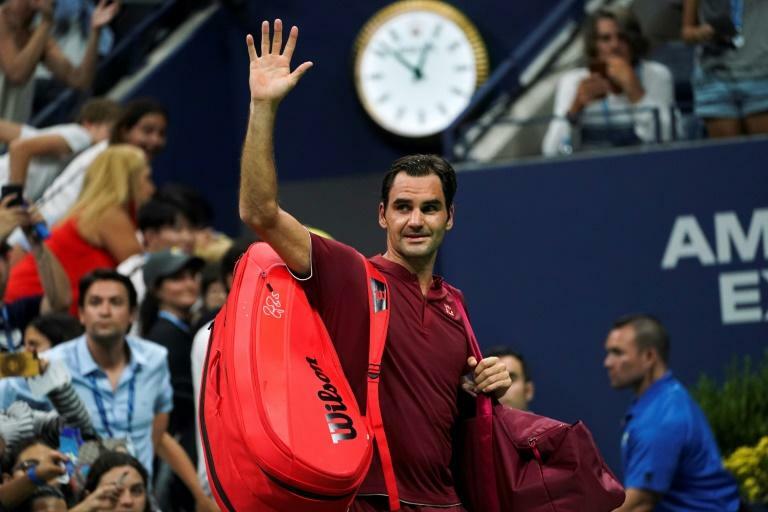 "I know what I have," he said after limping off Arthur Ashe Stadium having lost two sets to third-seeded Argentine Juan Martin del Potro. "I know what is going on with the knee. I know how I have to work to be better as soon as possible." -- Naomi Osaka won the title 6-2, 6-4 but Serena Williams dominated the headlines for her epic meltdown when she accused chair umpire Carlos Ramos of being a "thief" and accusing the sport of "sexism". She was eventually fined $17,000 but the angry tirade opened up a huge debate over coaching and the treatment of women in tennis. Serena was furious that she had been accused of coaching after coach Patrick Mouratoglou was seen making hand signals in the box. "I would rather lose than win by cheating," screamed the American who insisted that a male player would never have been docked a game penalty. Mouratoglou said the ban on coaching was "hypocrisy". Novak Djokovic clinched his third US Open title with a 6-3, 7-6 (7/4), 6-3 triumph over Juan Martin del Potro, taking him level with Pete Sampras's mark of 14 Grand Slams. "I want to say Pete, I love you, you're my idol," said Djokovic of Sampras.